EDITOR’S NOTE: An earlier version of this story incorrectly stated a program win for Linamar’s newly developed e-axle had a financial impact on its quarterly sales. 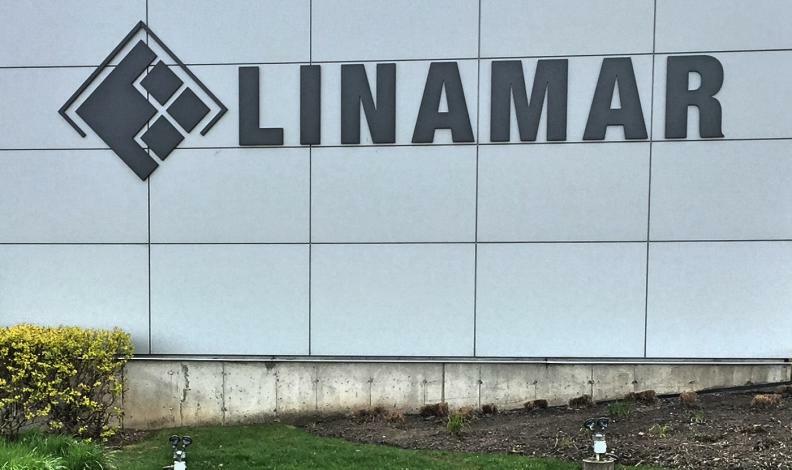 Canadian supplier Linamar Corp. posted about a one per cent increase in quarterly operating earnings and landed what it called a “major” win on a future contract. The company, based in Guelph, Ont., reported operating earnings of C$215.6 million for the quarter -- an increase of $1.9 million – from a year earlier. Revenue rose 6.6 per cent. Second-quarter operating earnings for the company’s automotive division were up by $600,000, or 0.4 per cent. The company’s industrial segment’s operating earnings increased $1.3 million, or 2.5 per cent. “We have had another solid quarter at Linamar with strong results in both segments,” CEO Linda Hasenfratz said in a statement. Linamar’s automotive division consists mostly of powertrain and driveline systems while its industrial business includes agricultural equipment and aerial work platforms and telehandlers from its Skyjack division. The company scored what it called a major electronic axle program win during the quarter. “Most notable of course in the quarter is a sizeable e-axle program win for electric vehicles solidly establishing Linamar content potential in this key segment,” Hasenfratz said. Hasenfratz didn’t detail that win but Linamar has spent years developing what it calls a new electronic axle driveline system, mainly for electric and hybrid vehicles. In 2016, Hasenfratz told the Globe and Mail newspaper that Linamar has the potential to supply $2,000 worth of parts on every electric vehicle. Linamar reported sales of $1.77 billion during the second quarter. The company’s industrial sales rose 24.5 per cent to $361 million. Automotive sales were up 2.8 per cent to $1.4 billion. Linamar said its automotive division benefited from increased volumes on launching powertrain and driveline programs and favourable changes in foreign exchange. But some of those benefits were offset by decreased production volumes on other automotive programs; increased costs as a result of changes in product mix; and increased management and sales costs. "Powertrain/Driveline continues to perform at very strong margins despite soft core markets, evidence of our market share growth stepping in to drive results, and our Industrial segment continues to power along taking market share and driving well above industry growth levels,” Hasenfratz said.